Product prices and availability are accurate as of 2019-03-24 19:21:40 UTC and are subject to change. Any price and availability information displayed on http://www.amazon.com/ at the time of purchase will apply to the purchase of this product. Durable hard-anodized exterior, includes glass lids. Nonstick interior is metal utensil-safe. Even heat base delivers reliable results. Wide-grip, riveted handles for extra strength. Includes: 1.2-qt. 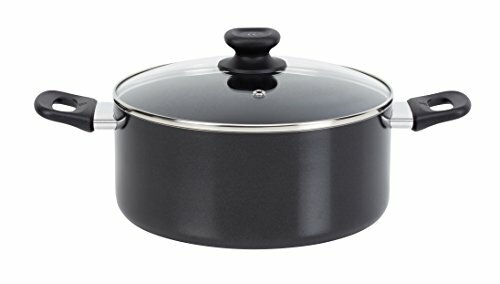 saucepan with lid, 2.4-qt. saucepan with lid, 5-qt. Dutch oven with lid, 8-in. 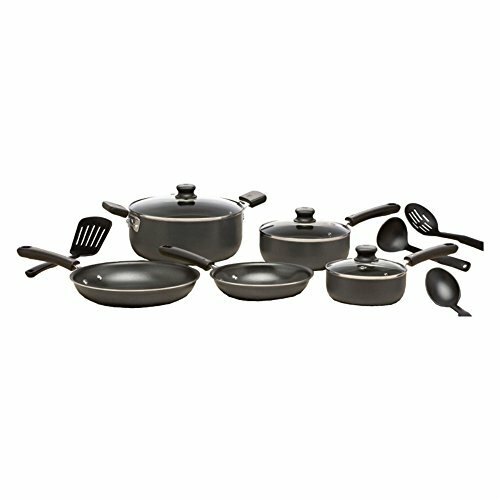 saute pan, 9.5-in. deep skillet, 4 tools.